You will need: a medium sauce pan, a whisk, and the ability to do A LOT of stirring. Over medium low heat add heavy cream. Constantly stir until cream begins to steam. 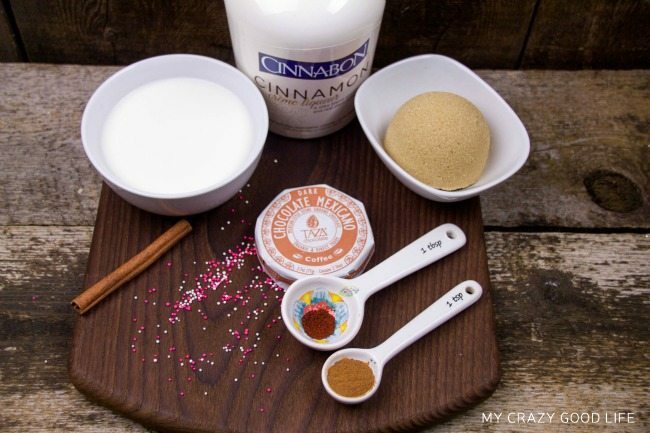 Sprinkle in sweetened cocoa powder, cinnamon, and chili powder and whisk some more. Add the brown sugar and stir until sugar is completely dissolved. Slowly add chopped Mexican chocolate one tablespoon at a time and whisk until chocolate is completely dissolved. Keep stirring until chocolate is smooth. Add Cinnabon Cinnamon Liqueur and wait until mixture begins to steam again. Do a taste test and add more chocolate or spices depending on your personal taste (see note below). Top with a dollop of Cool Whip. 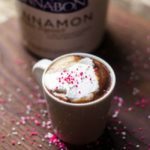 Notes: The thing about Mexican hot chocolate is that it is traditionally a rich, dense beverage (less sweet and with a thicker consistency than the American variety), so the key is to find a consistency that suits your taste. 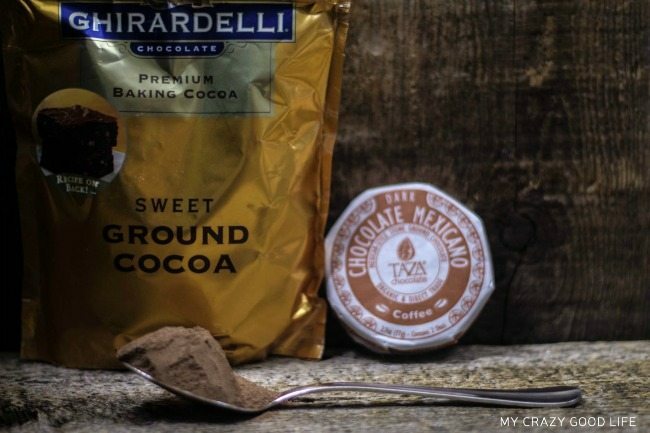 For a thicker mixture, add more semi-sweet Mexican chocolate and for thinner results, use less chocolate or add a little more whole, skim or 2% milk. I used a sweet cocoa powder (Ghirardelli Sweet Ground Cocoa) but if you prefer, use the unsweetened variety and use less brown sugar. I used Tazo Mexican Chocolate with excellent results. You could also use Ibarra or Abuelita. This delicious dessert has grown up! 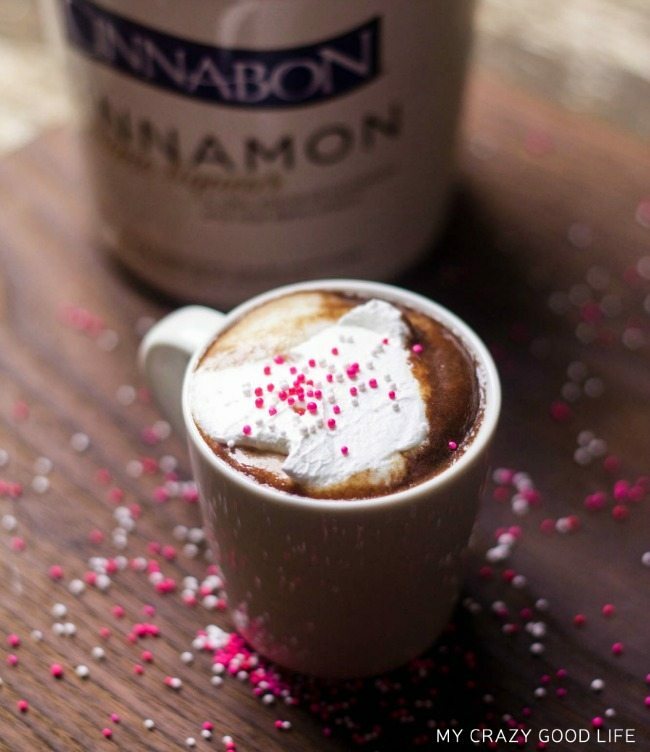 The recipe for this boozy Mexican Hot Chocolate is super easy to make and tastes so good! Cool Whip or whipped cream–I prefer Cool Whip! You will need: a medium saucepan, a whisk, and the ability to do A LOT of stirring. This is a beautiful recipe for post-taco-night! Yum!